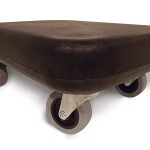 S.A.F.E. 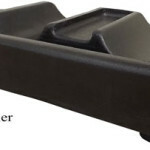 Structure Designs offers S.A.F.E. 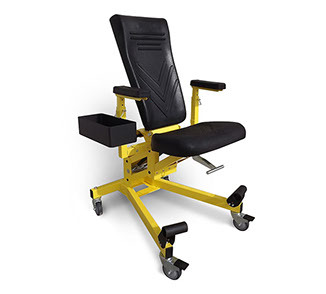 ergonomic seating, a complete line of industrial grade seating products designed to boost worker comfort and productivity while reducing on-the-job injuries and related muscle group strains. 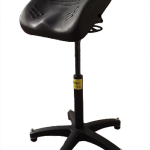 S.A.F.E. 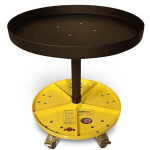 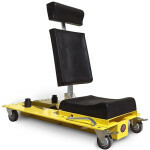 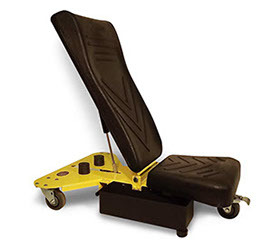 seating is ideal for maintenance, inspection or production environments. 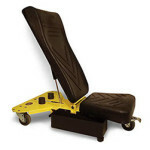 Model 103 Workmaster The Model 103 WorkMaster puts you at the right angle! 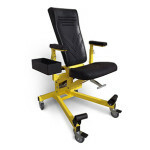 Model 106 ChairMaster with optional Backrest Stable, mobile and adjustable the 106 allows the user to efficiently orient themselves 360° to the task. 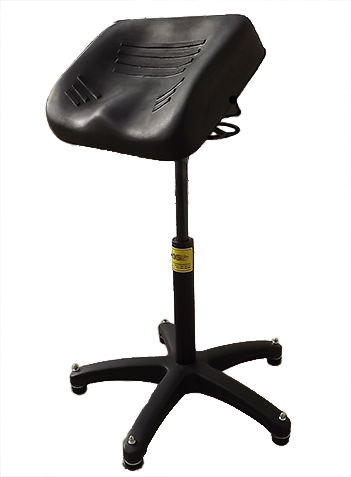 Options to add additional accessories to chair are available. 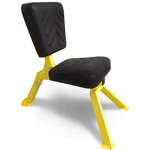 107 Option-B Extension Kit The Extension kit adds hight to the Model 107. 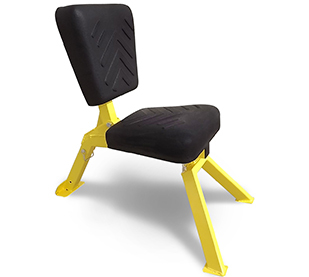 Positioned by PTO pins the 107 Option-B has the ability to raise the seat. 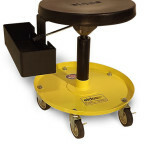 Lowest position 7", Highest at 10" in one inch increments. 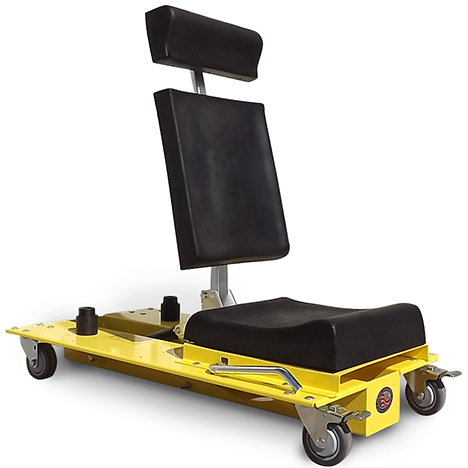 Model 109-HR Model 109-HR As one of the two models with a vertical adjustment, it raises in one inch increments via PTO pins. 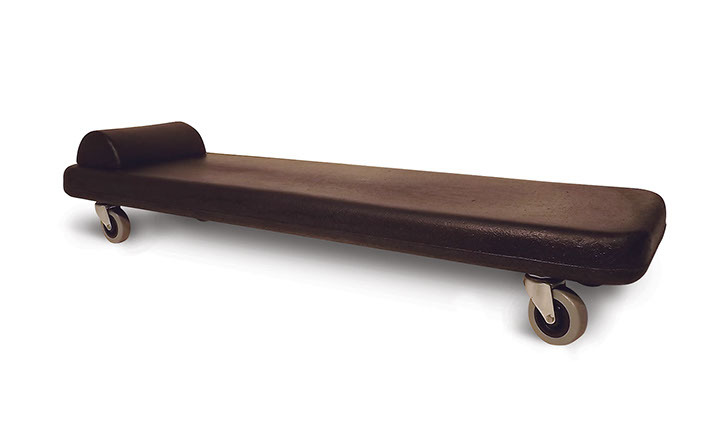 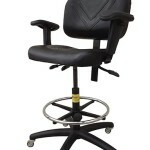 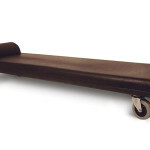 Height (Top of Backrest Fully Upright) 43.5"
width 4.75" x length 13.75". 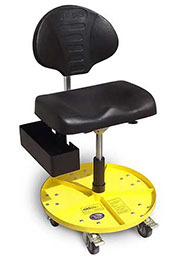 Model 110 The WeldMaster In the forward facing position, the WeldMaster, with its unique spring loaded back, provides solid back support for overhead work. 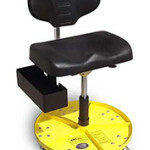 Reverse position on the WeldMaster, and the back support now acts as a chest support for ground level work. 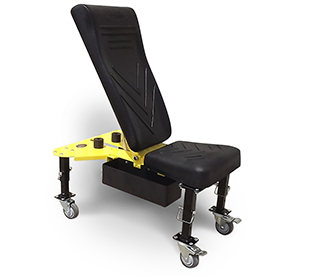 The front and rear legs, and back/chest support all adjust with simple PTO pins to offer a variety of properly supported work positions. 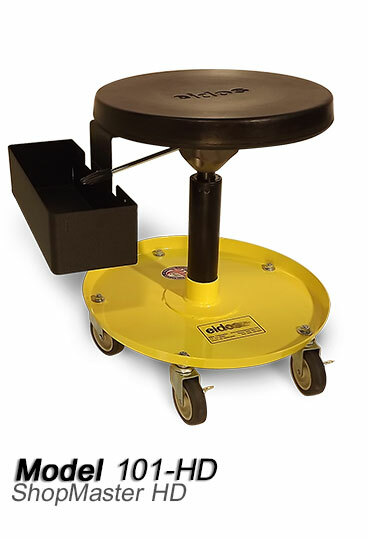 Model 110 Weight (ea) = 22 LBS. 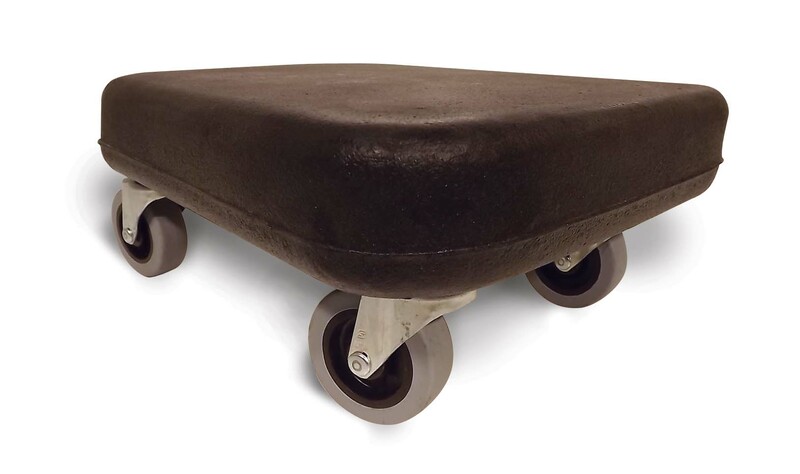 Box Size = 22" x 22" x 22". 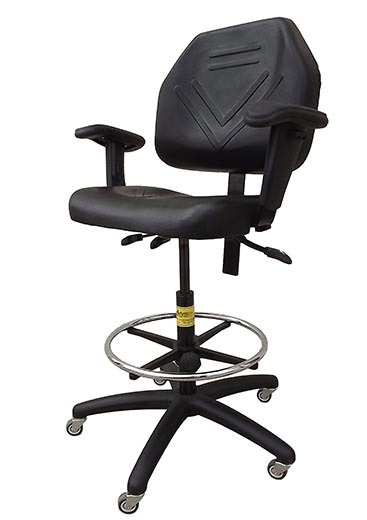 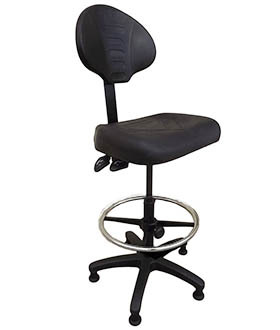 Model 117-GSW Model 117-GSW The Model 117-GSW from Eidos - a fully adjustable work station constructed of steel, approximating that of an office chair with adjustable range of work height, comfort, and durability. 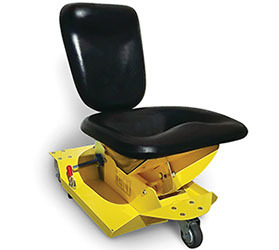 Model 101 ShopMaster Seat Height Range - 16" to 21"
Model 101-HD ShopMaster w/ Toolbox Seat Height Range - 16" to 21"
Model 102 Prime Prime Occupant Load Capacity: 350 lbs. 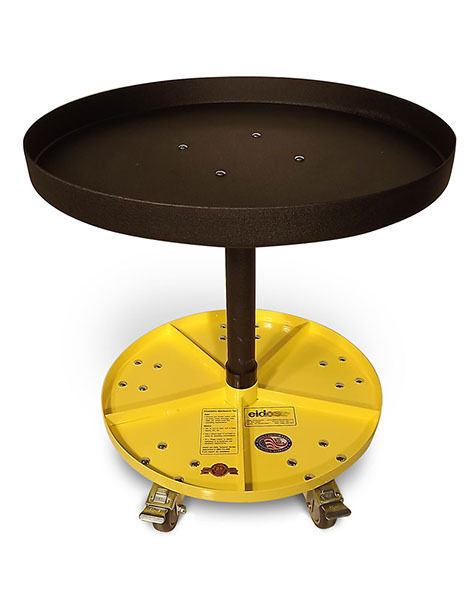 Foot Ring: 18" diameter, 9.5" of vertical adjustment. 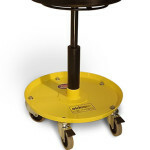 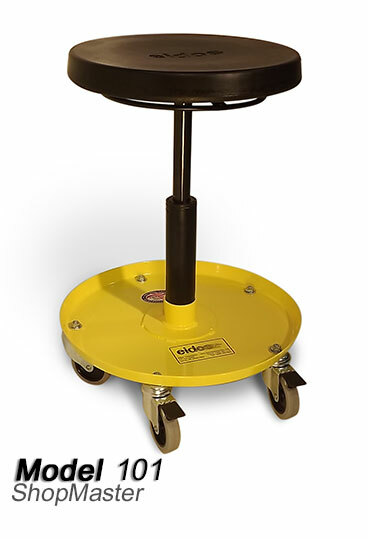 *Optional Casters are available (Shown in photo) 2.5" Thermal Plastic Rubber Casters. 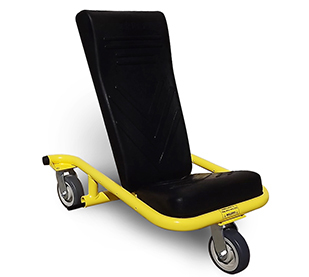 Model 102-HD/HDT BenchMaster HD:Seat Height Range 17" to 22"
HDT: Seat Height Range 21" to 31"
(5) Heavy Duty Casters (2 Locking) 3.5"
The Scoot The Scoot The Scoot is a low profile work seat that allows you to get LOW to the ground. 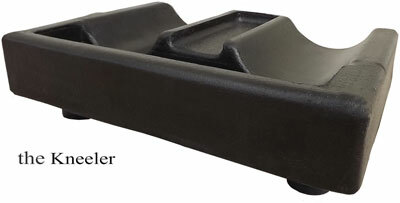 Front: 11.75" Wide, Back: is tapered to 8.75". 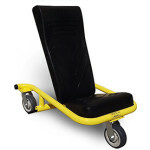 The Scoot has ( 4 ) 3 " casters and a total height from the ground to the top of the seat of and 5.75 inches. With 3/4's of an inch of self skinning foam to comfort you so you can work longer and more efficiently. 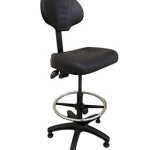 Model 108 The Creeper Foot Print 11" x 37"
Model 115 SitStand Seat Height Range - 24" to 37"